Allows you to learn your new skills in a manageable timeframe. Courses enable you to apply for work within a salon or you can set up on your own. We run very small classes to ensure that you get the attention you need to learn your new skills. We provide all the products, equipment and models that your will need to complete your course. We provide training manuals that are yours to keep and take away and you get access to the resources section of this site. Start your new career in beauty and nails today! •Intensive learning programme allowing you to learn in a manageable timeframe. •Very small classes to ensure you have all the attention you need while you learn. •Friendly and supportive environment to help you develop your confidence. •No previous training required – all courses cater to beginners. Our beauty therapist training package includes six of the most popular salon treatments and will enable your to provide these treatments as a qualified beauty therapist. Includes the basic manicure and pedicure courses and two of the most popular nail extension courses. Gain the theory, knowledge and technical skills to become a nail technician. 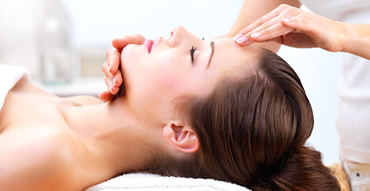 The massage therapist course includes three holistic massage treatments and three individual body treatments.